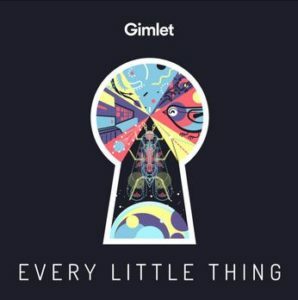 Vartest Featured on “Every Little Thing” Podcast – What Do Care Symbols Mean? WTF Do the ⏺  ⏹ on My  Tag Mean? We recently had a visit to the Vartest lab from Flora Lichtman of Every Little Thing in Brooklyn, NY to discuss textile testing for care label symbols. What resulted is an interesting and informative introduction to the care symbols used in garment labels around the world. Of special note are comments from John Langdon of Drexel University in Philadelphia (The inspiration for the Robert Langdon character in Dan Brown’s books) on the challenge of intuitively understanding the meaning behind the current symbols. We also get insight from Ginetex, the International Association for Textile Care Labelling, on the origin of the symbols. Ginetex shared that symbol comprehension is surprisingly low – 70-80% of consumers don’t know what 3 of the 5 main care symbols mean. If you have a question that needs answering, call the Every Little Thing Help Line at 833-RING-ELT. Gimlet Media is the award-winning narrative podcasting company that aims to help listeners better understand the world and each other.